Your child’s behavior and learning is enhanced by our facilities furnishings, natural light, ample space and color. When we consider that young children are involved in an active and multidimensional process of learning, we can appreciate the power of the cues which the environment gives them. At LFDP, we strive to create an environment which promotes optimal learning, growth, and development. Our facility complies with, and exceeds, DCFS regulations and requirements, thus, ensuring a safe, healthy, secure, and nurturing environment. Administration–monitored surveillance cameras are installed in each classroom and our secured entry system restricts unauthorized access to the center. Our center’s design incorporates architectural elements which support each child’s comfort and promote exploration and learning. Over-stimulating elements are avoided and natural features are incorporated to the maximum extent possible. Openness and transparency are fundamental in creating a suitable learning environment for each child and are generated by the well-planned combination of space arrangement, furnishing, natural light, and color. The color tones we use in our classrooms have been carefully selected because color has a far-reaching effect on children’s behavior and learning. 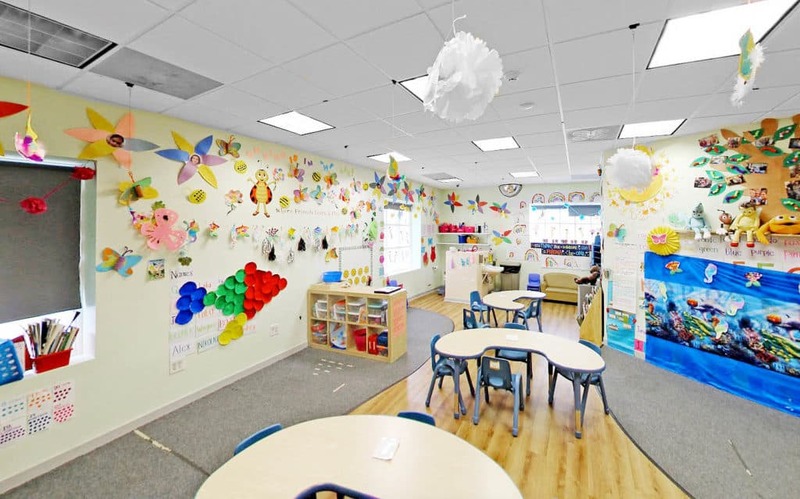 The classrooms are configured and furnished to allow appropriate supervision, flexibility, and circulation to each learning center while minimizing disturbance to other children. Our classrooms have ample space for all learning activities, as well as space for personal care. The learning centers are designed to separate the quiet areas from the boisterous ones in order to ensure an optimal learning environment. The learning materials we use are essential in providing each child with meaningful learning opportunities. The materials are carefully selected to meet each child’s developmental needs, and to stimulate learning and development.